Four-speed, ceiling fan control provides convenient operation for fans with pull-chains. Not intended for use with multiple fans. Simple display on fan wall control helps you easily adjust your speed (1=Fastest, 4=Slowest). Switch plate cover is included for mounting. AirPro Ceiling Fan 4-Speed Wall Control. Provides convenient operation for fans with pull-chains. 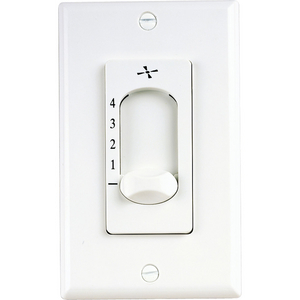 Use with or in place of hand-held remote included with fans that have a downlight cover. 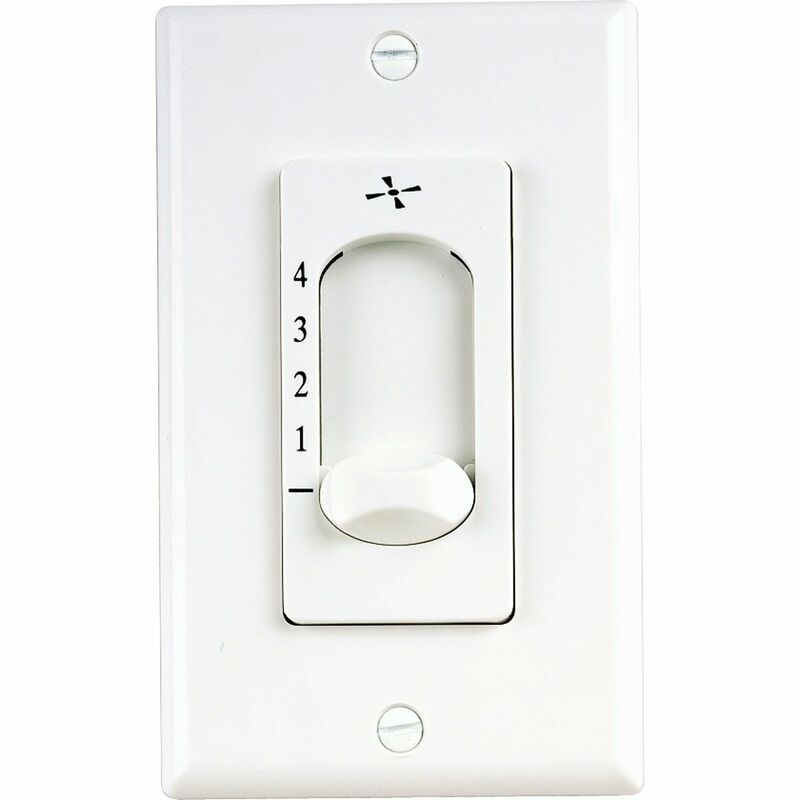 Switchplate cover is included for mounting. Four Speed Ceiling Fan Wall Control.